This is a demanding par four starting with a tee shot that needs threading between the bunkers on the right and the trees on the left. 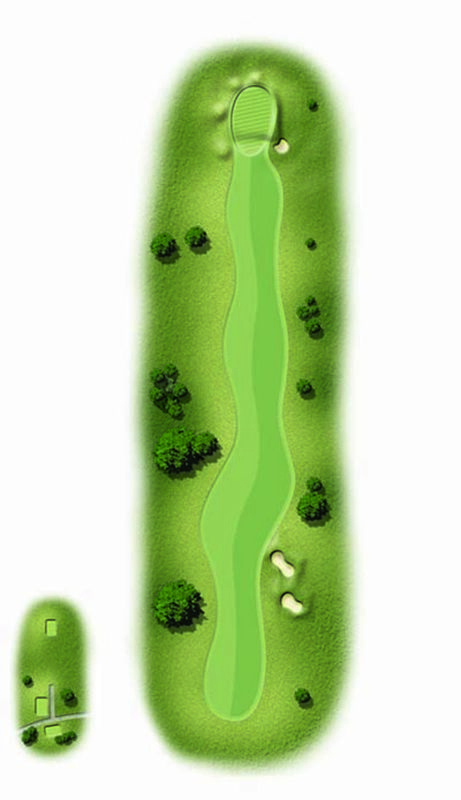 For your approach to the green be positive, as anything short will be gathered up by the bunker to the right. The shot most receive here is generally gratefully received!